Our staff team has a wealth of industry experience, knowledge and expertise – we are very proud of this. Below you can read all about our team! I am very proud to be the Principal of UTC Warrington which I joined 17 months prior to opening. Along with our network of employers, including Sellafield Ltd, Wood PLC and Fujitsu, we have carefully designed a bespoke curriculum for 14-19 year olds with a purpose to up-skill our young people and provide them with high quality destinations with the STEM sector. 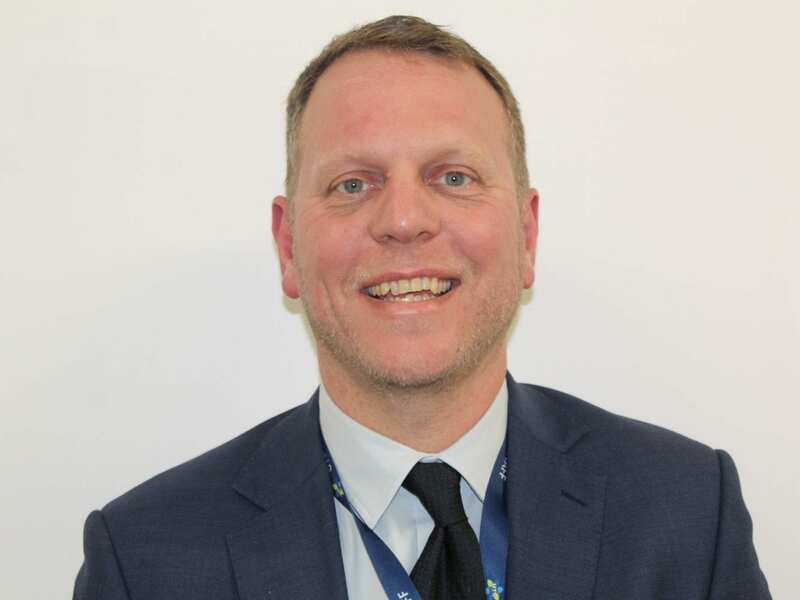 I have previously been the Principal of a 14-19 Studio School and an Assistant Headteacher in an 11-19 school in Salford, specialising in IT and partnership work with industry. I started my career in teaching as an ICT and PE teacher, before joining senior leadership teams. Do you have interests outside of work? I enjoy spending weekends with my two children, as well as playing football. I am a keen mountaineer and cyclist! I am also a Former commissioned RAF VR(T) Officer with the RAF Air Cadets – I bring this passion and unique way of personal development to the UTC through our connections with military organisations. University of Hull – BA(Hons) English Language and Literature. University of Warwick – PGCE English and Drama. What do you enjoy most about working at UTC Warrington? I enjoy working with our students to ensure that the curriculum and their experiences are relevant and engaging, then seeing the wonderful things that they go on to achieve. 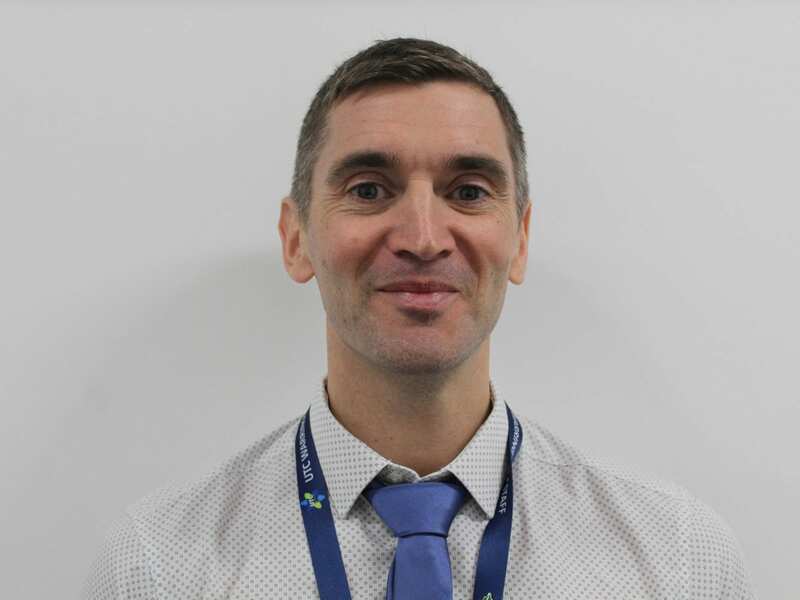 In my role I am responsible for student outcomes – this includes overseeing the development of teaching and learning, staff CPD and the personal development and welfare of students. 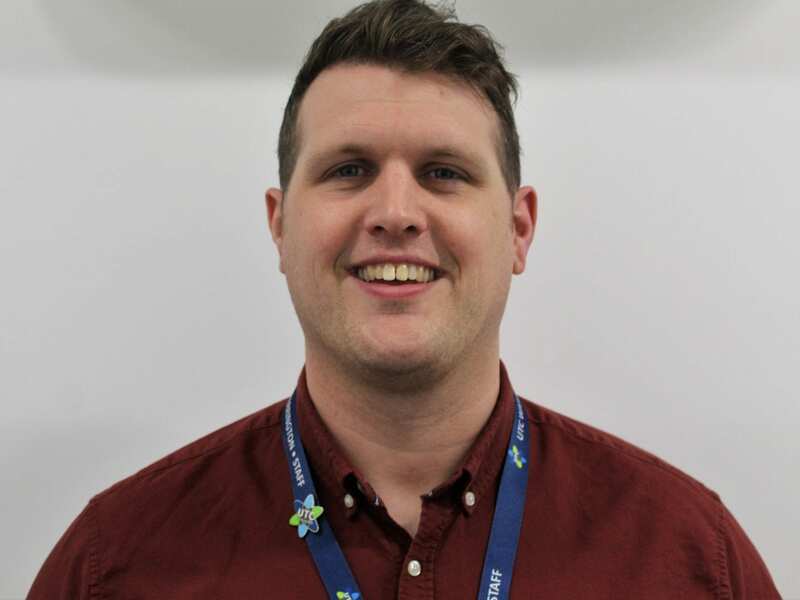 I am also the Designated Safeguarding Lead and therefore I oversee the safeguarding and welfare of all of our students. I have three young children who keep me busy and I enjoy practising yoga. BA Honours in English Literature with Psychology, Liverpool Hope University. I am very privileged to be able to work with all faculties ensuring that the quality of education every student receives is the best. UTC Warrington has an amazing staff who are passionate about supporting the young learners in their care and I love being a part of this team. I am particularly interested in teaching and learning and how students learn and retain information. I have recently become an English SLE offering support to English departments in other schools. Most of my spare time is spent with my family and my three bulldogs. However, being an English teacher, any opportunity to relax with a good book is always taken and I also enjoy watching films. I have recently found I enjoy cooking (and eating!) although Masterchef is definitely not on the radar! Manchester Metropolitan University – BA (Hons) Secondary Education in Physical Education and Life Science with QTS. I enjoy working with students across the college to develop their personal skills, including leadership and resilience. By working with employers, I thrive on seeing real life and meaningful projects come to life and our students being inspired. It is also important to me that I deliver guidance sessions to students so that they can make the right choice about where their destination is after the UTC. I lead a very active and sporting lifestyle. I am a keen sportsman and I have taken on many fundraising challenges, including lots of marathons and climbing Mt. Kilimanjaro. When the opportunity arises, I also enjoy SCUBA diving and skiing. I enjoy working with all of the students and seeing them connect with employers and businesses to develop their own skills. Our professional culture is reflected in our policies on behaviour which encourage students to make the right decisions in line with workplace conduct. I have been responsible for implementing the UTC’s behaviour policy and ensuring the key messages and values are understood by staff and students. I’ve also been teaching PE for twenty years and I’ve been involved in pastoral roles within schools for the last ten. BEng in Mechanical Engineering, Liverpool John Moores University. PGCE in Secondary Science, University of Newcastle upon Tyne. Working with a team of committed colleagues who all have the same goal to produce a stream of technically qualified young people for the Warrington area. I worked in industry before teaching as a manufacturing engineer in the electronics sector. I also have a good knowledge of manufacturing techniques, CAD and financial planning in business. I am also an examiner for A level and GCSE Physics. I enjoy cycling, mountain walking and I am currently learning to play the piano. M.Sc (Eng) Product Design and Management. BA (Hons) Product Design and Visual Studies. I enjoy the opportunity to work with a wide range of students with different backgrounds and needs, assisting students to progress academically and socially as they develop to become adults. Prior to re-training as a teacher I worked as a Design Engineer in various companies designing medical housing for hospitals and paramedic services, airport runway and motorway lighting Engineer and CAD technician. I love cooking, sewing, scuba diving, fitness training at home, spending time with family and socialising. Masters Degree in Town Planning, University of Liverpool. Bachelors Degree in Construction Management, Liverpool John Moores University. I enjoy working with the students and showing them the amazing equipment we have here. I also lead on the Civil Engineering qualification. Civil Engineering working in Australia and the United Kingdom, specialising in domestic housing projects and site management. Fabrication skills in glass fiber and timber, in the area of boat building . Honours Degree in Design, Liverpool Hope University. I love the small community feel within UTCW setting and the fantastic links to industry and engineering/Design organisations. I really enjoy working with those students share a flare for Design and who are really keen to work hard to enable them access more opportunities when they complete their courses at UTC. As a teacher, I love to support students and see their resilience grow enabling them achieve and feel proud of what they have accomplished. Product Design and Technology. I also have previous experience of Progress Leader for 8 form groups in year 9 and as a Mentor for Newly Qualified and Trainee Teachers. I have been teaching since 2010 but previously trained as a Lifeguard and worked in California and Virginia. Travelling and gaining international employment (Have previously lived and taught in China and Australia). I also love music and going to gigs in Liverpool and Manchester where I can socialise with friends. I am an outdoors person and really like being active; I also do yoga! Most of my time is being spent renovating my house as well as choosing furniture to go with it. I enjoy the opportunities to deliver highly technical course content to students and to see their understanding of this grow. I also enjoy the opportunities we have linked to external organisations and how these can enrich our curriculum. As the head of science I ensure that the curriculum being delivered across the science faculty is meeting the educational needs of our students both in relation to the examinations they will sit and the wider UTC promise objectives. 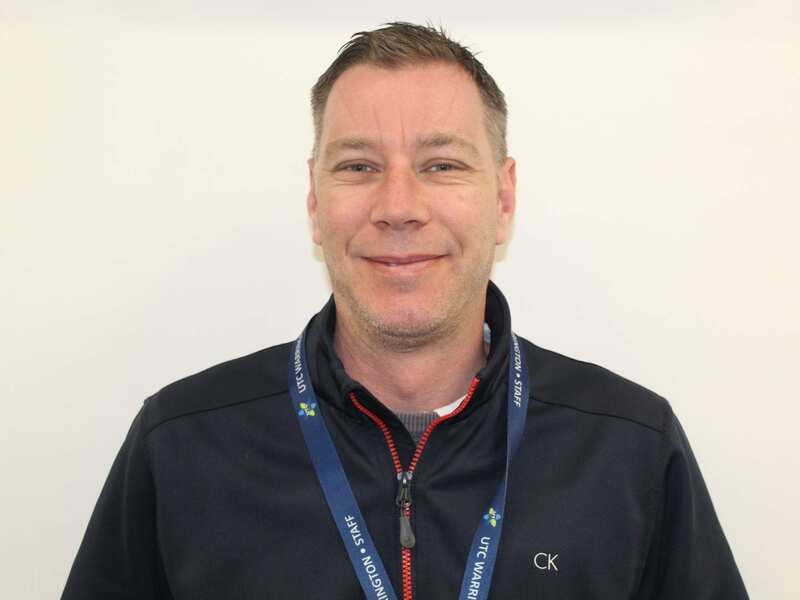 I am a specialist Computer Science teacher and deliver both the GCSE course and the post-16 offerings that we have available. I love the fact that UTC is not just a school which focuses on the academic side, but it also equips the pupils with the skills to survive in the real world. I also enjoy opportunities to explore my curriculum opportunities with the UTC partners companies which provides the pupils with first hand opportunity with employers. I have a very vast knowledge in biology and chemistry, this is deeply rooted in my educational background from secondary all through university. Also, before going into teaching I have worked in a pharmaceutical industry where my role was in the drug research department. This ties in very well with some of the most of the units in applied science that I would be teaching. 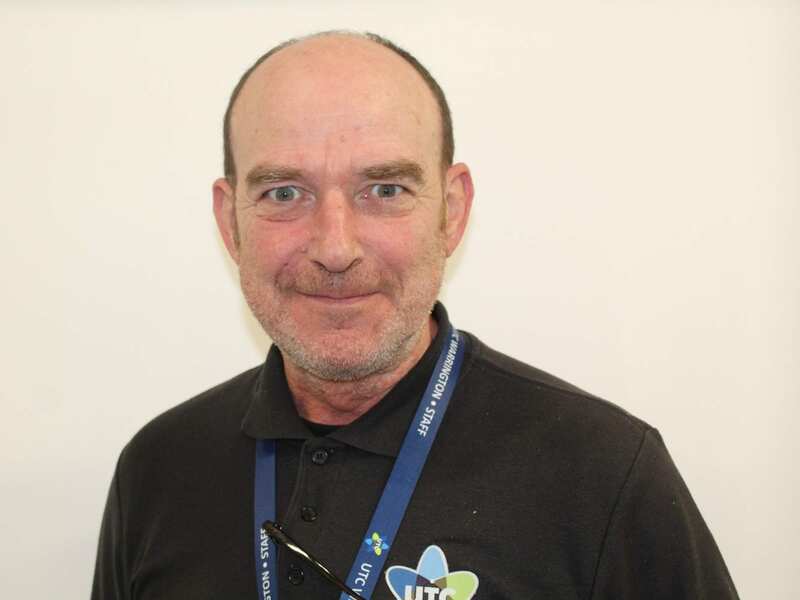 My work with the young people has made my role as a PAT tutor come naturally to me, as I can listen to the needs of my pupils and direct them to the help needed or give career advice for their future. I enjoy learning about different cultures and food, which I infuse into my own cooking. I make outfits using African fabrics. I volunteer every Sunday to work with the young people in my church. My work with them involves career advice, helping with emotional, physical wellbeing. I teach Chemistry (definitely my favourite! ), Biology and Physics at GCSE and the Applied Science BTEC which I’m really excited about. I love watching the students’ progress and to see them grow both academically and as individuals. Prior to re-training as a teacher I worked in the Forensic Science and Analytical Chemistry sectors. Alongside this I worked as a dog trainer with a special focus on Forensic detection dogs. I love spending time with my family and friends. I volunteer for a dog rescue charity and fit in as much power lifting at the gym as I can. Every day is different. I love the “light bulb” moments, when a pupil realises they fully understand the topic. I enjoy watching the pupil’s transition as they get ready for the workplace. I’ve been teaching science, with a particular emphasis on Physics, for over 20 years. My key area of expertise is developing pupil’s confidence so they feel more able to tackle the challenging aspect of the curriculum. I like to travel to different countries to experience a variety of cultures. I’m a season ticket holder for Widnes Wild Ice-hockey and I also enjoy going to the theatre, music concerts and the cinema. Both staff and students are willing to get stuck in to help the college grow – but mostly I enjoy playing with the science equipment. Herpetology – I spent 3 months in the Honduran rainforest monitoring and sampling reptiles and amphibians. Focus in Chemistry and Biology – attended multiple programs at the STEM learning center University of York. I play the ukulele and the occasional bike ride. Ripon and York St. Johns College, BA(Hons) in Mathematics and Human Movement. University Of Leeds, PGCE in Mathematics and Games. I enjoy working with the students and seeing them learn new skills, this is enhanced when they can put their skills into context and solve problems. We aim to provide Mathematics in an innovative way to show how and where it is used in the real world. I would describe my expertise as a teacher of Mathematical skills and techniques. Getting students to understand concepts and why they follow process is important to arrive at an outcome. Mathematics is very rewarding when you get questions correct! I particularly enjoy solving problems. Out of work I am an outdoors person who loves to cycle and open water swim. I love walking in the hills and camping. Time spent with family is paramount. I teach GCSE Mathematics, Core maths and BTEC Engineering. I also like seeing the hard work and dedication of both staff and students. Before I started teaching I worked as a Post office Counter Clerk and as a secretary in a Solicitors. I like to attend the gym and do boot camp, go swimming and watch my favourite football team Liverpool F.C. Degree in Pure Mathematics from Aberystwyth University. PGCE in Mathematics Teaching from Edge Hill University. I enjoy making a difference in the lives of young people. As a UTC, I feel we go the extra mile to help pupils reach positive destinations. My aim is not to drill every pupil into an A* and boast about results, it is to make sure pupils are guided to make the right choices and go on to a career or apprenticeship that will allow them to succeed in life. My degree mainly focused on Calculus and Analysis in Mathematics. I studied Mathematics and Further Mathematics at A level to great success. I pass on this deep understanding of Mathematics to my pupils. I really enjoy music and play the drums. I was inspired to learn by the drummers of my favourite rock/metal bands such as Breaking Benjamin and Avenged Sevenfold. I also play video games, mainly the Final Fantasy and Pokemon series. I will proudly boast that I am only missing 11 Pokemon out of the 809 that currently exist! Being able to effectively develop students and seeing them go onto their new careers. As Progress Leader, I monitor the progress of a year group and ensuring students feel safe when they come to college. Years in accountancy industry. This involved doing various things like taxation, efficiency audits, financial advice, auditing, budgeting, cost analysis and managing a team of accountants. This role allowed me to see lots of different types of industries as all the companies needed financial advice. Talking to the older students about what they want to happen next in their lives. Being able to engage students who once hated English or even school, in a different, more stable, encouraging learning environment. Building relationships with the amazing students who are here at UTC. I have experience in all areas of teaching English KS4 and 5 and I have managed teams both pastorally and departmentally. I am also a drama teacher (dramatic? Me?) and an exam marker too! I have 3 kids, so my interests involve being a gymnastic and dance mum. I’m a theatre nerd and watch documentaries which mean I can’t sleep at night! Liverpool John Moores University; BA with Honours, English Literature and Cultural History and American Studies. Our students are what I enjoy the most about working here; seeing them develop into confident young people through our wrap around care is extremely rewarding. I also enjoy working closely with faculty leads to ensure our KS5 students have a positive and successful journey here at UTC Warrington. I have a background of pastoral care and this is where my strength lies. I believe I have an excellent working relationship with my students and colleagues alike. As a teacher I have worked as a head of department and an external exam marker for AQA hence I am extremely confident in my ability to deliver and assess exam content at all levels. I work particularly well with our higher level students and run the more able intervention session. I love to keep active and I am a member of crossfit. I feel that the students know they are well looked after pastorally after having mixed experiences at other schools during years 7-9. I am proud of the way the students mature during Year 10 and 11 to become work ready. Having worked in investment banking for 3 years, I understand what it is like to work in and office and feel I can advise students as a result. Football (Crystal Palace), Cricket and trying to keep fit. I love seeing how the study of Geography links into our specialist curriculum here at UTC Warrington. Whether it is evaluating the effectiveness of flood and coastal defenses, designing hazard proof buildings or investigating the challenge of sustainable resource use. It is so rewarding to help students see the destinations that the study of geography can take them. Geography is such as wide range and varied subject and I thoroughly enjoy all aspects. I do have a particular interest in human geography and themes such as poverty, deprivation, global shifts in economic power and the challenge of sustainable resource use. I love spending time with my young family. We are members of the National Trust and spend as much time as possible outside. I also enjoy cooking, going to gym and gardening. I really believe in the UTC model and am proud to be part of a team establishing such opportunities in Warrington. I am committed to supporting our students with additional learning needs and delighted when we see all our students smiling and achieving their potential. 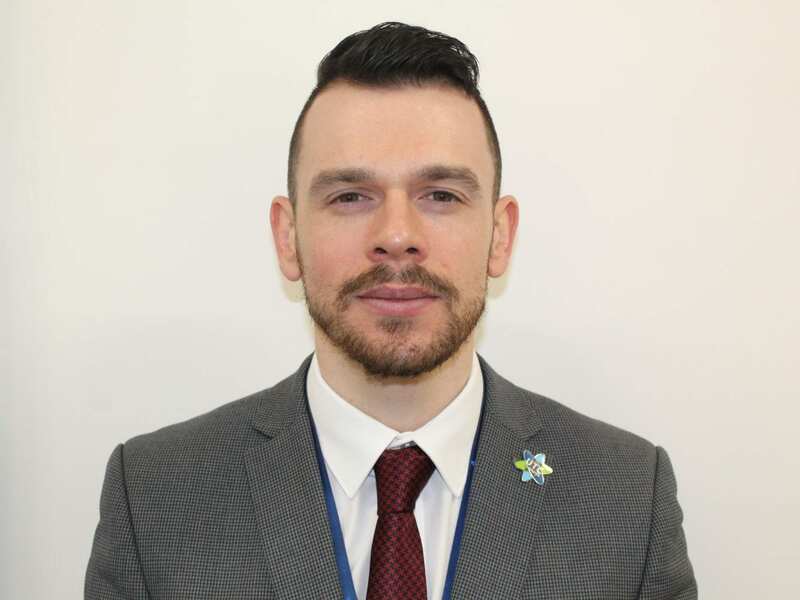 I am also the Special Needs Coordinator at UTC Warrington and therefore part of the team that is responsible for those students and families that require additional support. Prior to teaching I worked for several years as an Art Director and TV Production designer in TV and Film Industry. I love spending time with my family and friends. I am a keen walker and love being out and about in the countryside. In the summer myself and three friends are walking a marathon for Macmillan nurses. The small size of the school creates a ‘family’ environment for staff and students. This helps create an atmosphere where students feel comfortable, safe and can achieve their best. Behaviour management, safeguarding and holistic development of students. I enjoy supporting the students and staff and seeing the achievements of our students. Art, music and watching movies. The variety and depth of experiences available here means that no two days are the same. The opportunity to add value to the UTC community, through things like Young Enterprise and enrichment means that I feel that I am contributing more than just a standard accounts role in just another company. Specialist experience in Financial Management and planning. My focus is to ensure that the finances in the college are used in the best possible way to ensure that the learners can the most out of the resources available. Martial Arts, I hold a Black Belt in Taekwondo and am working my way up the ranks in Judo I have also studied Ju-jitsu and Shukokai Karate in the past. I love adrenaline sports and challenges such as assault courses, parascending, zip wires, and rollercoasters. When I’m not on the next adventure I love spending time at home with my family. No two days are ever the same! I enjoy assisting the Business Director with all HR related queries across the college. I’m too busy running my children round to all of their extracurricular activities of an evening and at weekends to have a hobby! I am proud to work in an institution where all the staff go above and beyond to support students’ personal development and help them secure high quality apprenticeships. The UTC is so unique in its environment and purpose, it is fantastic to see students embrace the culture during their time with us! I have always been interested in writing and communicating, so I feel I can adapt these skills for different audiences when representing the college. Before joining the UTC, I worked in retail full time whilst studying for a degree – I can relate to the students and their style of learning. Outside of work, I enjoy going to the gym, swimming, and I have just started running. I also like the occasional Nandos. What I love above UTC Warrington is how small and personal it is. I know all of the students and enjoy supporting them in their journey to secure positive destinations. It’s a great feeling organising meaningful encounters with employers and watching students develop their employability skills through these interactions. I am a natural and vibrant communicator. In other words, I’m good at talking and writing, which makes me perfect for a marketing role. I’ve blended my ability to communicate effectivity with my creativity to become an all-round marketing professional specialising in design. 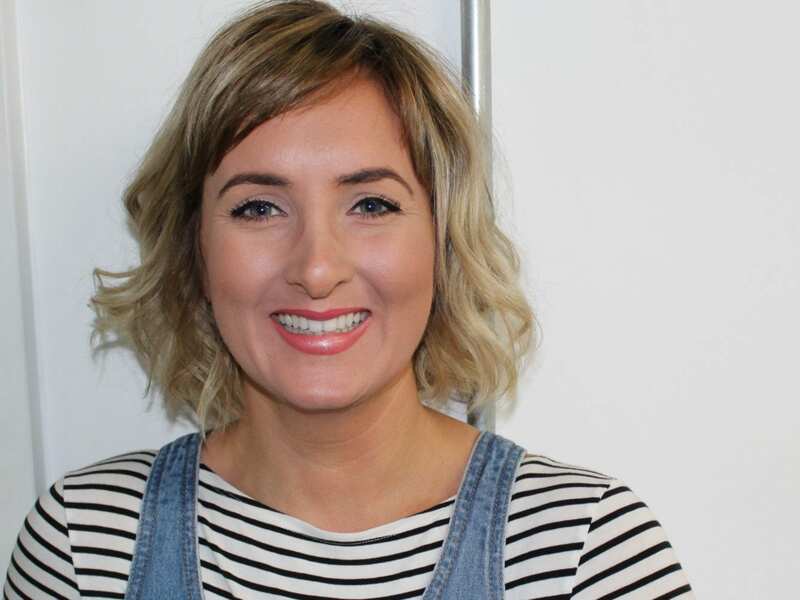 I have worked in marketing for over three years, with experience working for the National Trust and in an interior design company. I am the coolest of the uncool. I am passionate about history and love learning new things. Outside of work, you can often find me in a museum or volunteering for the Manchester Histories Festival, as a Peterloo Ambassador. – This year the festival is commemorating the 200th year of the Peterloo Massacre, a pivotal moment in our political history. I also crochet, which really doesn’t help me sound any cooler. I enjoy the variety of my role and I also like that every day at the UTC is different. I also enjoy working with the students and seeing them on exam results day. Sims(Assessment Manager, Course Manager, Exams Manager), Excel. I have held similar positions in schools where I have been responsible for school assessments, mock exams and external examinations. I am responsible for welcoming visitors to UTCW by greeting them either in person or on the phone, initially dealing with college related queries before passing them on to the relevant members of staff. I enjoy welcoming visitors, parents, stakeholders to the college. Engaging with students and helping (in some part) to resolve any issues they may present with at Reception. Excellent working knowledge of safeguarding procedures in educational setting. I have also spent many years working in a school environment. Assisting our students where and when necessary in achieving their goals. I also lead on the college’s Combined Cadet Force (CCF) and enjoy seeing the students develop into confident young people. All military training and all aspects of soldiering. Communications – specialised in satellite, radio and data communications. Logistics. Combined Cadet Force and spending time with my family.